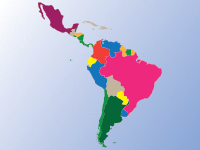 Latin America and the Caribbean continue to provide diverse opportunities for strategic and institutional engagement. How can the region remain competitive and leverage collaborative networks to achieve institutional goals? How do such networks impact capacity building in the region? Do they aid in the pursuit of innovative partnerships? What model networks already exist? Higher education leaders from throughout the region will provide insights on developing effective and sustainable partnerships through collaborative networks. Country-specific breakout tables will be available for networking. Marcela Wolff-Lopez is the director, business development – Latin America at ICEF since September 2018. During the past 10 years she was the head of international relations at Universidad EAFIT. She was appointed executive director of the Network Colombia Challenge Your Knowledge – CCYK, between 2016-2018, and she was a member of the Steering Committee from 2011 until 2013. Marcela has participated in different projects that share the objective of capacity building in international education in Colombian higher education institutions. She worked with the local and regional governments in their international aid agencies and was a part-time lecturer on international aid in the field of business (2005-2009). Marcela received her MBA degree from Universidad EAFIT in 2008 and her architecture bachelor’s degree from Universidad Pontificia Bolivariana in 1999. She is a DAAD DIES alumnus as she participated in the University Leadership and Management Training Program (UNILEAD 2010-2011). Her areas of expertise are international project management, intercultural communication, international education management, south-south cooperation practices and the development of global partnerships. Francisco Marmolejo is the World Bank’s global lead of tertiary education, and since July 2016 he also serves as the lead education specialist for India, based in Delhi. In his capacity as the World Bank’s most senior official in tertiary education (also known as higher education in several countries), he serves as the institutional focal point on this topic, and provides advice and support to country-level related projects that the Bank has in more than 60 countries. Before joining the World Bank in 2012, he served for 18 years as founding executive director of the Consortium for North American Higher Education Collaboration (CONAHEC), a network of more than 160 tertiary education institutions primarily from Canada, the U.S. and Mexico, based at the University of Arizona (UA), where he also worked as assistant vice president for Western Hemispheric Programs. He has worked as international consultant at the headquarters of the Organization for Economic Cooperation and Development (OECD) in Paris, France, and has been part of OECD and World Bank peer review higher education teams in Europe, Latin America, the Middle East, Africa and Asia. Marcos Avilez has been director of international relations at Pontificia Universidad Católica de Valparaíso, PUCV, Chile since 2008. This position entails the management of a complex international network of various initiatives, including but not limited to student mobility and international development. Since 2012, he is the director of “Learn Chile”, the national organization for the promotion of the Chilean higher education sector (www.learnchile.cl). He is also an elected member of the Council of Advisors of the International Student Exchange Programs (www.isepstudyabroad.org). In the past fifteen years, he has served as special assistant to the PUCV rector, and in the last ten years, he has been directly involved in Higher Education internationalization. He is a lawyer and holds a MA in public administration from the Pontificia Universidad Católica de Valparaiso. Martin Furlong is director of international programs at Universidad de Belgrano (UB), Argentina. In this capacity he has led a comprehensive internationalization process by managing different networks of academic programs that offer students the opportunity to improve their proficiency in foreign languages, enrich their intercultural knowledge, achieve a comparative professional perspective, and earn a dual degree abroad. Also, Martin is professor of international business at undergraduate and graduate levels. As an international business educator he has created and taught several courses, seminars, and training workshops on topics related to best practices for internationalization of the business enterprise, international strategic management, intercultural communication, and international business law. A former Fletcher Board of Overseers Scholar, Martin holds an MA, international business relations, from Tufts Fletcher School, in cooperation with Harvard University, an LLM from University of Virginia, and a law degree from the Universidad de Buenos Aires. Sofia Wong is the director of cooperation and international networks at the Universidad de Piura. She is also the coordinator of the Peruvian Network for the Internationalization of Higher Education. In 2013, she was the director general of international relations and cooperation of the National Assembly of Rectors of Peru. Sofia has presented throughout the region on issues related to international education and the internationalization of networks. In 2014, she was selected a scholarship recipient of the "International Visitor Leadership Program", funded by the U.S. Department of State. Sofia holds a degree in translation and a master’s in international relations. María de Lourdes Dieck Assad, PhD, is the inaugural vice president for hemispheric and global affairs at the University of Miami in Florida, USA. She was appointed by President Frenk, to lead the hemispheric and global initiatives across all schools and colleges of the University, with the aim of becoming the Hemispheric University, and become the hub for the Americas. Dr. Dieck has been an academic leader in macroeconomics at EGADE Business School of Tecnológico de Monterrey, where she served as dean of the school from 2011 until 2016 when she was named dean emeritus. She previously served as director general of Tecnológico de Monterrey at its Santa Fe Campus in Mexico City and she was also dean of the School of Government, Social Sciences and Humanities at the same institution. She has held academic leadership positions within Tecnológico de Monterrey and with other prestigious international institutions including Trinity University and Brookings Institution, both in Washington DC. Dieck Assad earned her PhD in economics from The University of Texas at Austin, a master´s degree in economic development from Vanderbilt University, and a bachelor in economics from Tecnológico de Monterrey (Mexico). The 2019 Latin America Forum is possible thanks to the generous support of George Mason University.